TAG’s all-in-one Payroll and HR technology is an easy-to-use Human Resource solution that You’ll love. 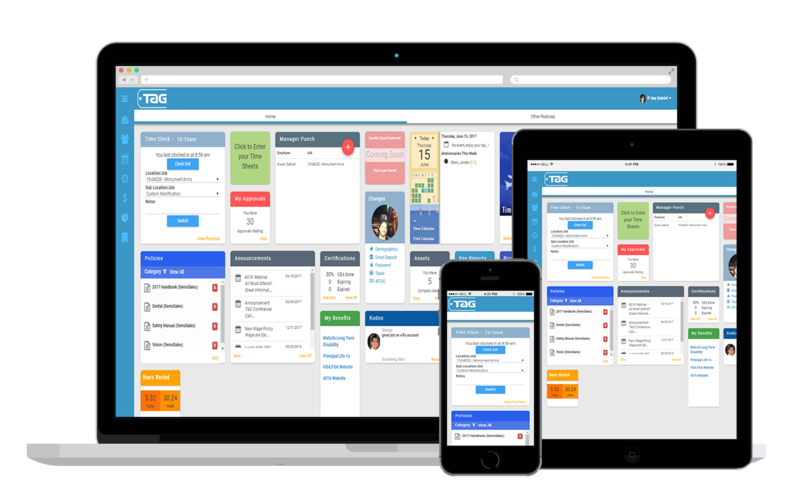 TAG’s Employee self-service dashboard is fully configurable and provides fast, easy access 24/7 on any device. Real-time, mobile time keeping that reduces the difficulty of tracking complex payroll systems and enables integrated job costing. Press the red button to request time off and the manager receives an email for approval. View time-off balances in real time. Display who is on PTO, Birthdays, Anniversaries, etc. Manage expense reports and receipts online 24/7. Once approved, reimbursements will automatically be paid on the next payroll. 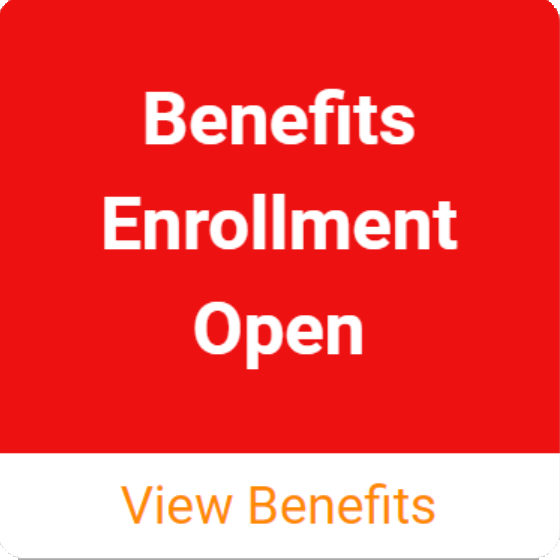 Automated enrollment eliminates forms, data-transfer-errors and reduces employee and admin time. Create, assign, manage and access cases and tasks with TAG’s online task manager. Easily store, access and download all policies, manuals, handbooks, etc. Assign company assets to employees and keep track of them. Upon termination ensure return or payroll deduction. Monitor required licensures or certifications and when renewals are due. Fully configurable online company events billboard. Self-Service access to review and manage all important personal payroll and benefit information. Employees have 24/7 access to paystubs, W-2s, etc. from any device. Real time tracking of daily and weekly hours worked. Give and receive recognition online right from your dashboard.